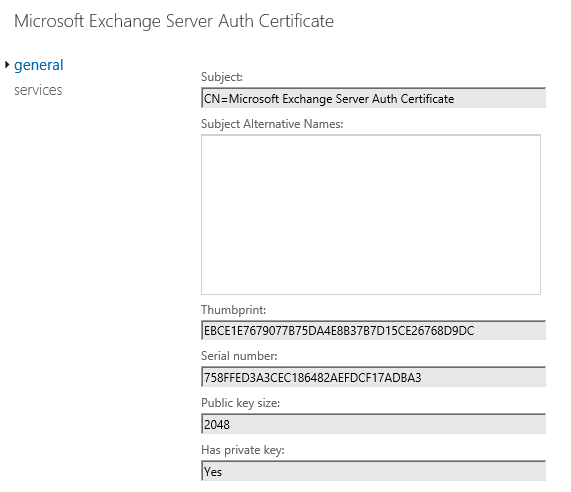 Thanks for the steps!, Q1, in env that have hybrid with exchange 365 - ware they any steps that need to be taken after renew OAuth on premises? Q2 on-premises Skype 2015, what are the additional steps for OWA integration with Skype so users will still be able to "Online Meeting"
Hi Rika - 1. I did not do any extra steps in O365. 2. 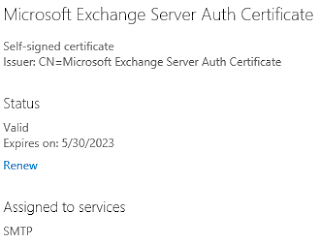 To me in the instructions for configuring skype and owa integration (https://technet.microsoft.com/en-us/library/jj688055.aspx) The reference to modifying the web.config file seems to be referencing the certificate thumbprint for the IIS certificate rather than the ExchAuth certificate. So, I don't think any updates will be required there. 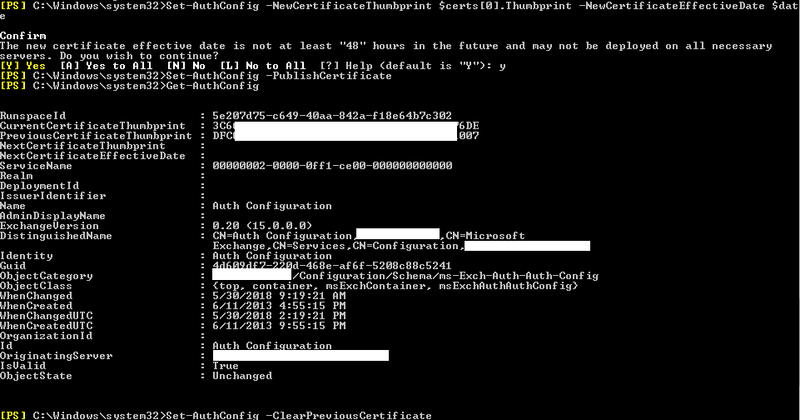 However, verify the current certificate thumbprint listed there to be sure. Rerunning the hybrid wizard might fix it up also. Thank you. Need to renew my certificate this weekend and this blog has been very helpful. I'm still unsure if this will have any impact on my hybrid so I am expecting to have to run the hybrid wizard again. @ Rika, if possible, can you let me know if running the wizard again did fix your issue? I renewed my auth cert yesterday, tried to export and import the cert as step 3 and 4 above but this didn't work. 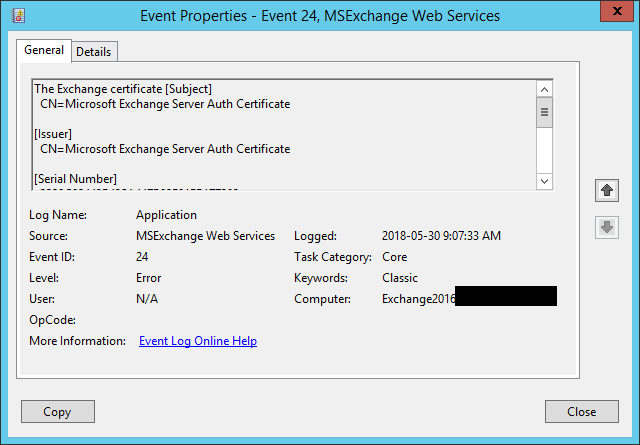 Test-OAuthConnectivity showing errors and free/busy info not showing when on-prem user looked at an online user. Re-ran hybrid wizard which resolved the issue immediately. Once again, thanks for the blog and replies from Rika. Thanks for taking the time to post this article. 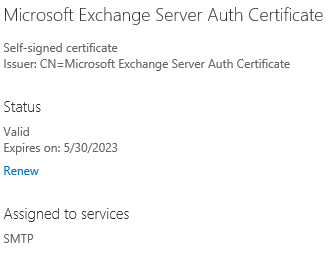 Our Auth Certificate expires in December so I went into ECP and hit the renew link to knock this out before I forget about it. Contrary to what you posted above it did create a new certificate. Now I am assuming that I will need to follow the above steps as if it had expired? Running steps 3 & 4 from the doc also worked for us after renewing the cert. 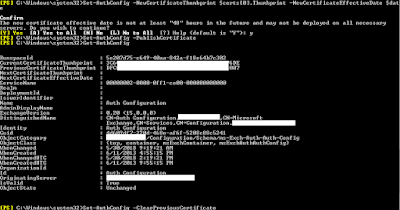 Is it type "Set-AuthConfig -PublishCertificate" in the command prompt for publish the certificate? 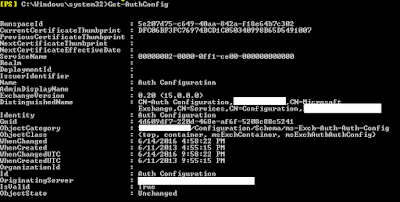 You run that command in the Exchange Management Shell (EMS). 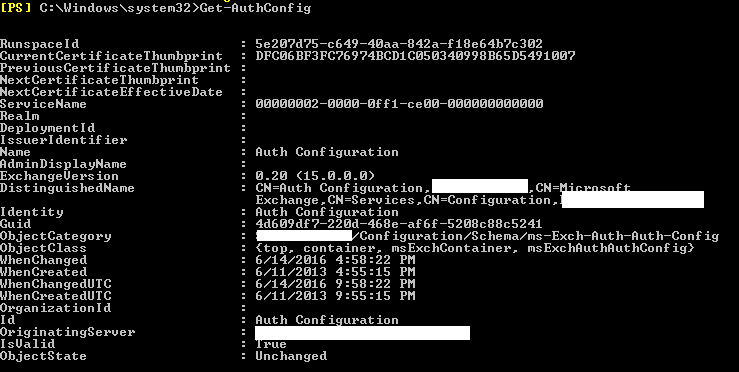 That is Windows PowerShell with the Exchange specific management cmdlets. 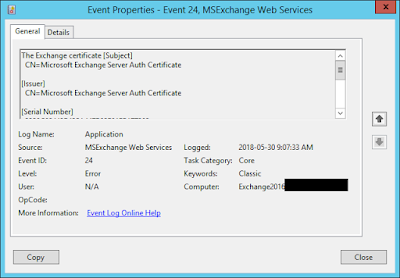 any additional steps needed if also running Sharepoint and Skype for Business? If I had renew the auth cert from EAC, do I need to publish it? How to publish? By cmd (exchange pwrsheel?